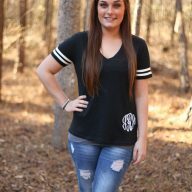 The monogrammed long sleeve T-Shirt in white is an absolute preppy necessity for every southern girl! It is effortlessly stylish, sporty and comfortable at the same time. Once you add this to your wardrobe, it will be a go to for many occasions. Sipping latte with the girls, cheering your favorite team on from the stands, lounging around the house, any time. It is cute on point and will fit the bill any time. 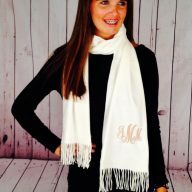 Of course, you cannot forget that it is made fabulous with your monogram! The monogrammed long sleeve t-shirt in white by I Flew the Nest is very soft to the feel which make this ultra feminine. The fabric is a cotton polyester blend. The sizing is women’s cut and this item fits true to size. This is available in sizes XS – 2XL. As you order, select your perfect fit from the drop down box. 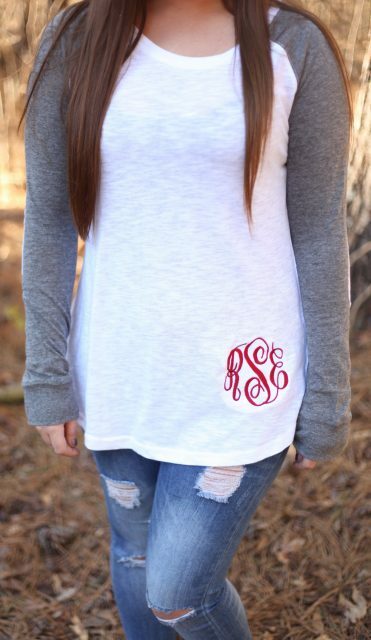 Pictured is the white monogrammed long sleeve t-shirt with grey accents. 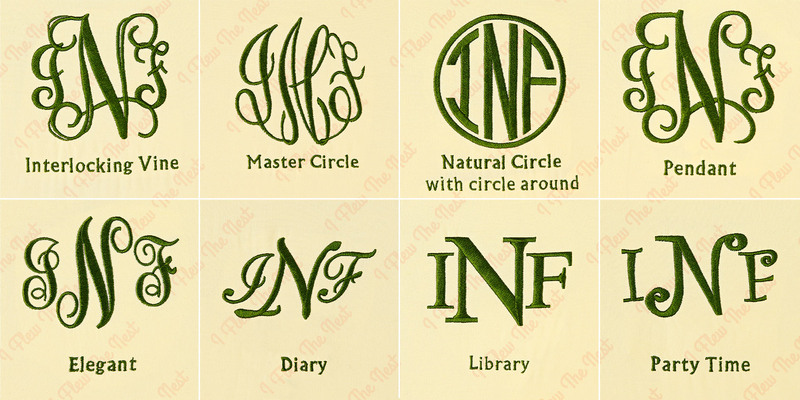 The monogram is done using Master Circle font, (always the most popular), and crimson thread. 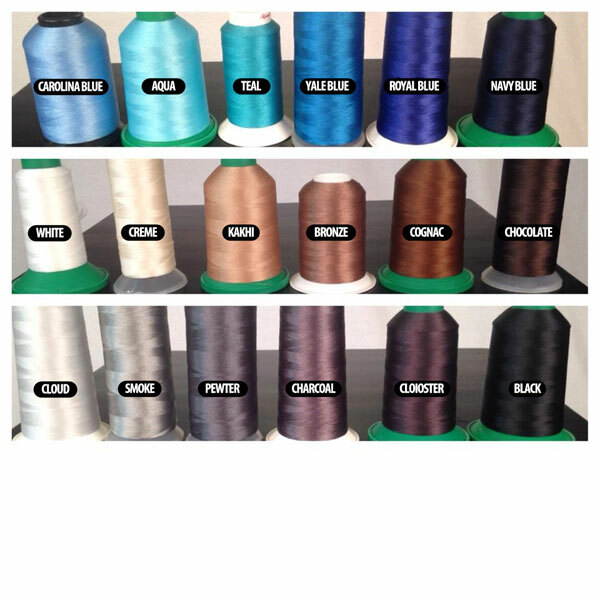 Of course, you can choose any thread color on the order form; we have many available. If white is not your color, have not fears, this long sleeve monogrammed t-shirt also comes available in pink/grey, mint/grey, black/grey, purple/ grey, navy/grey, royal blue/ grey, and red/grey. 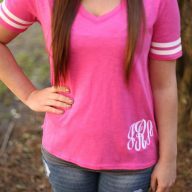 Once you place an order for your monogrammed long sleeve t-shirt, we will generally ship within one week. At I Flew the Nest, we are committed to ensuring you have an amazing online experience. If you have any questions, please reach out to us via email or phone at any time. 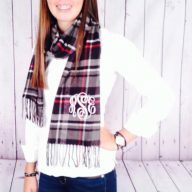 Happy monogramming! This patched long sleeve is super comfy and very very cute! The monogram makes the shirt no doubt. I will be a repeat customer, i am in love with the quality and style of this shirt! This is one of my new favorites! This shirt is very comfortable & I love the patches on the elbows! I will definitely be ordering another one!